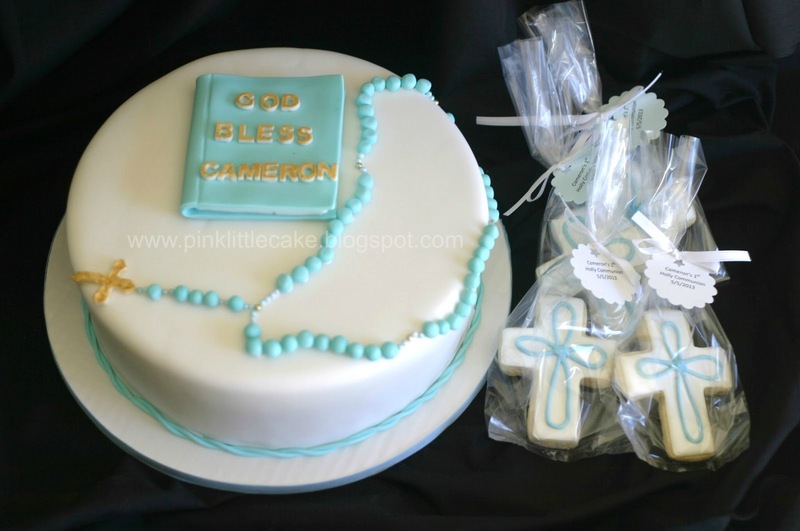 A simple, yet cute First Communion cake and cookie favors for my friend's son First Communion, such an important date to celebrate with your family. 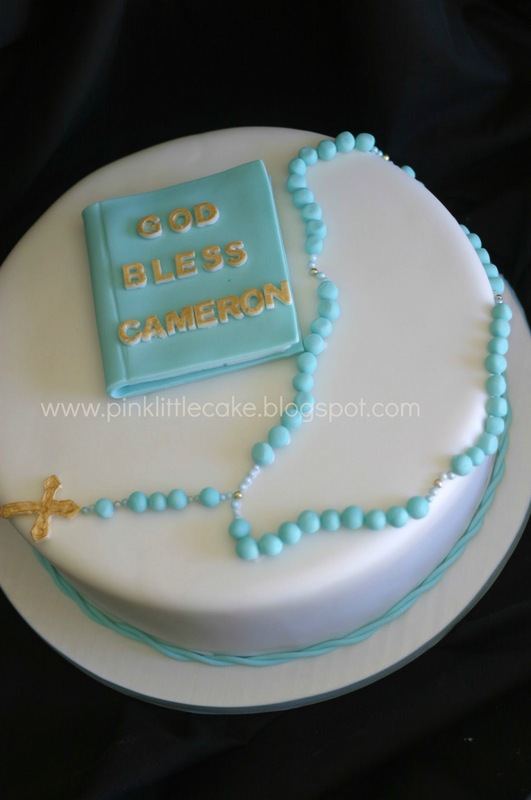 The cake is vanilla buttermilk cake fill with chocolate mouse. 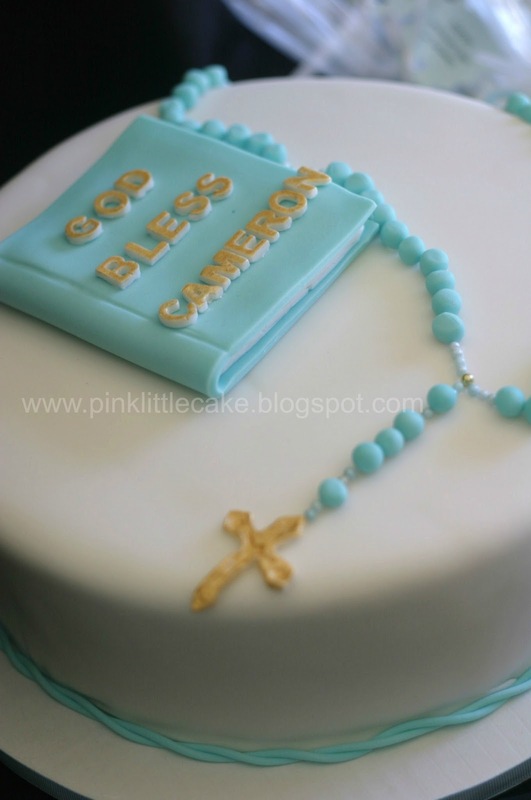 The book and rosary are handmade by me with sugar paste and dusted with gold luster dust.